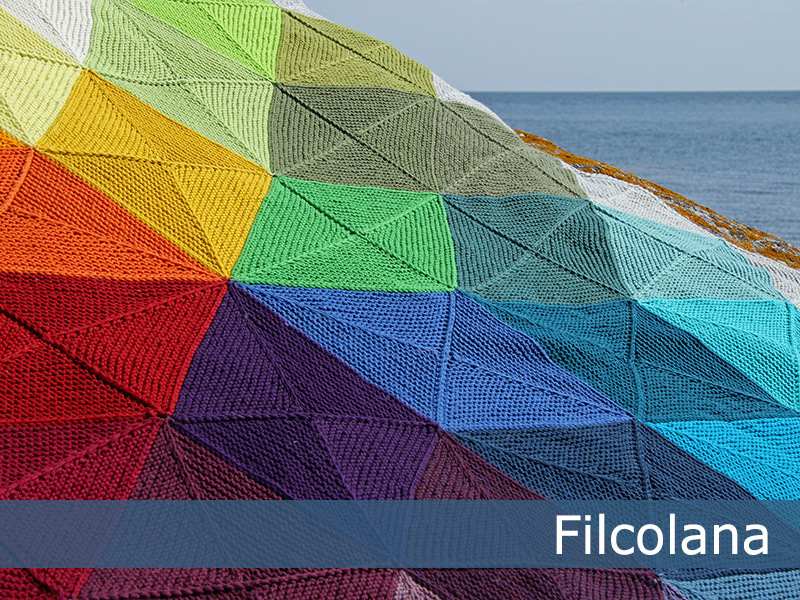 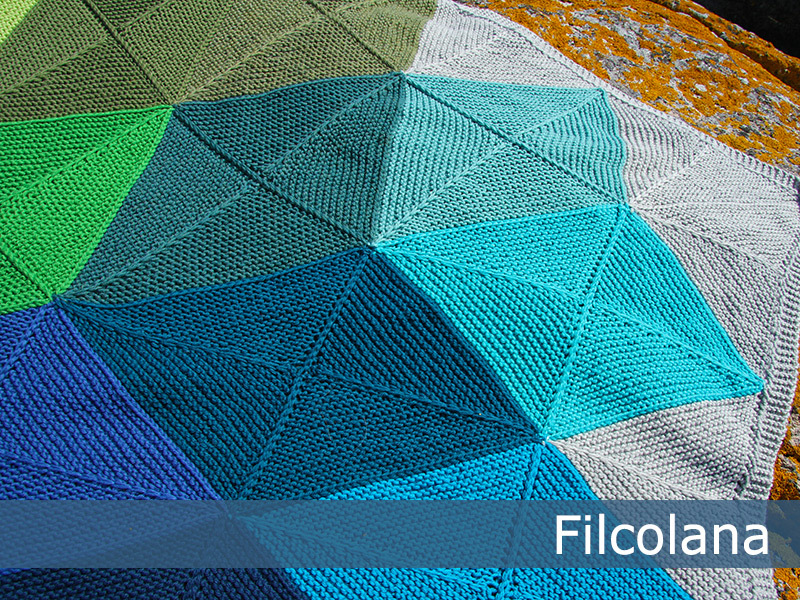 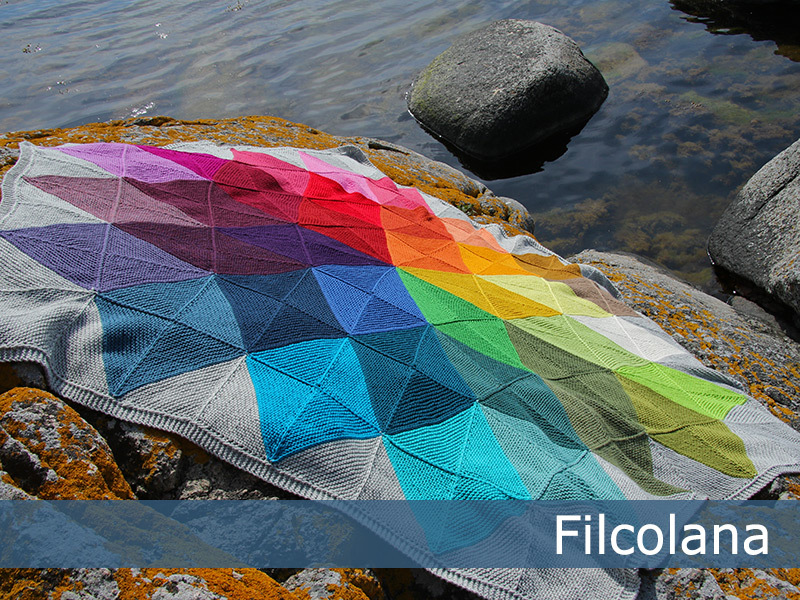 The yarns from Filcolana has long been some of my favorites, and one of the reasons for this is their many and beautiful colours. 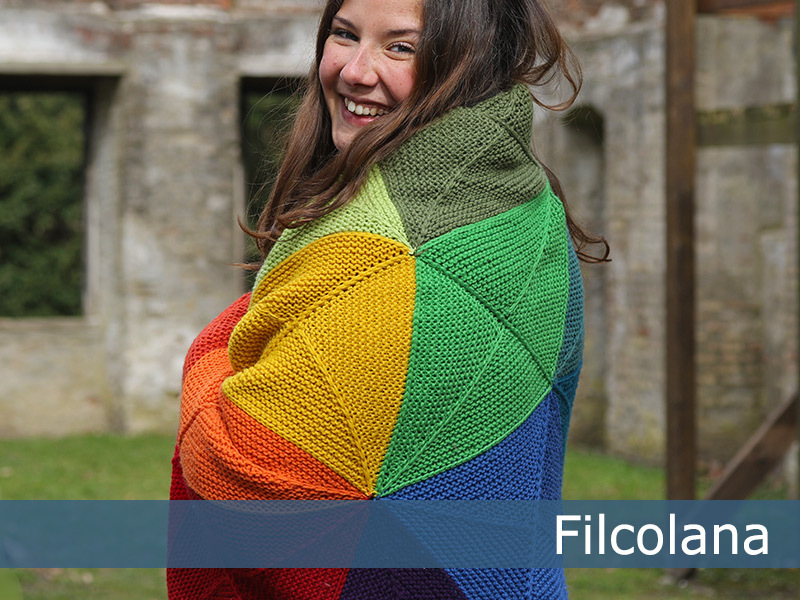 The idea for a colour circle afghan was born long ago, and now the Spectra afghan shows part of the wonderful spectrum of the Peruvian Highland Wool from Filcolana. 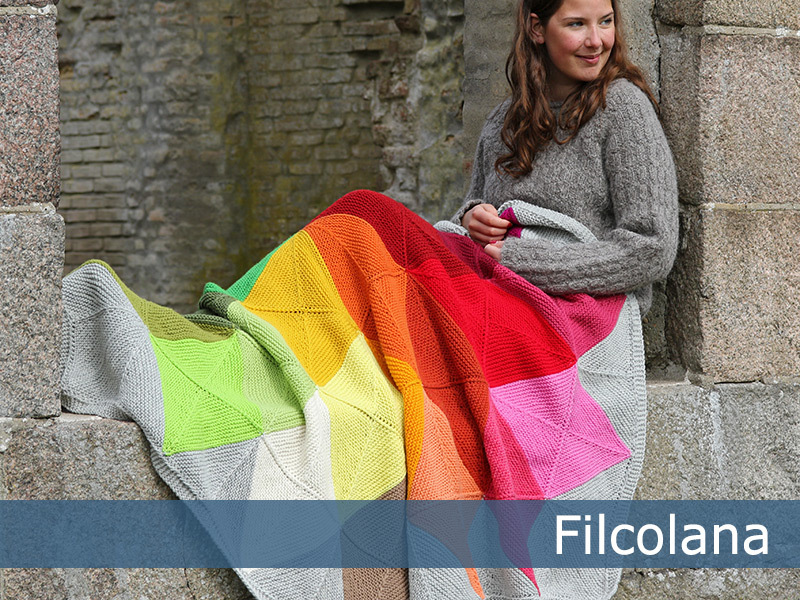 The afghan is very simple to knit and there are many possibilities for adjustments. 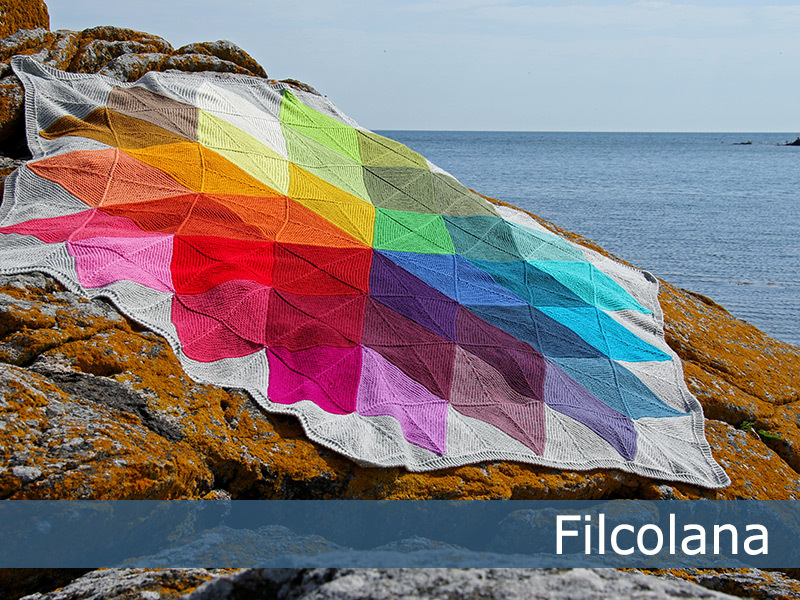 If you change the colours to only two or three, it will be easy to make it into a stunning modern afghan or a star blanket.